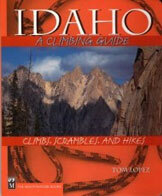 There are six Buck Mountains in Idaho and a total of 23 peaks that include the word “Buck” in their name. 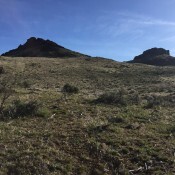 This Buck Mountain is situated on the west end of the Owyhee Mountains just east of US-95. 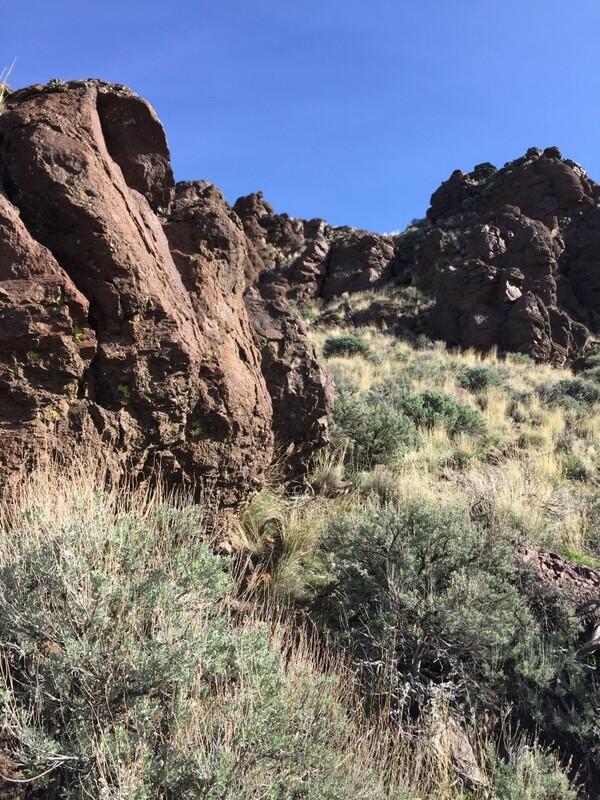 While not a towering summit, it is a worthy goal in the spring with excellent access. 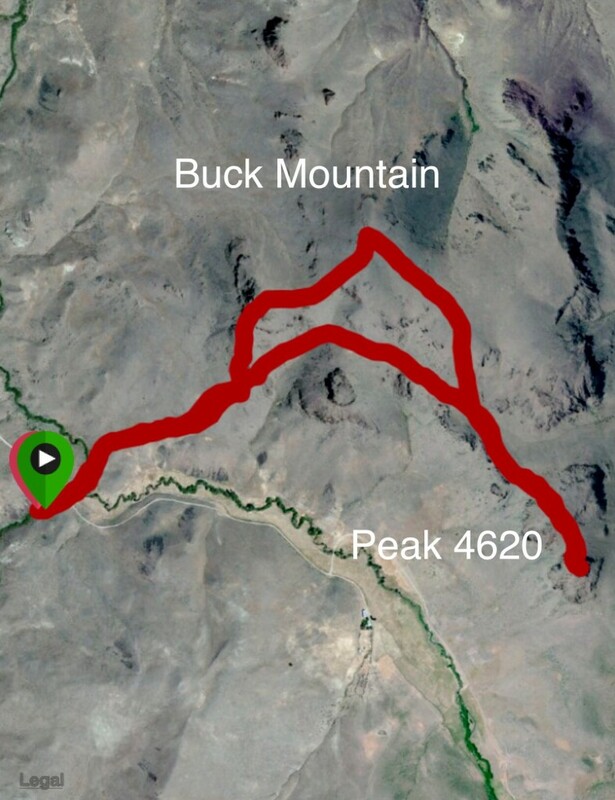 The summit can be reached in just over 1.0 miles and an 800 foot elevation gain. 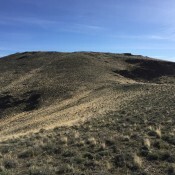 Buck Mountain’s summit from its western ridge. This is the view of the peak’s west ridge from the road. The true summit is not visible and behind the point on the left. 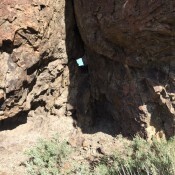 A tiny window forming in a rock formation on the west ridge. 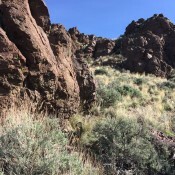 Nearing the top of the rocky point. 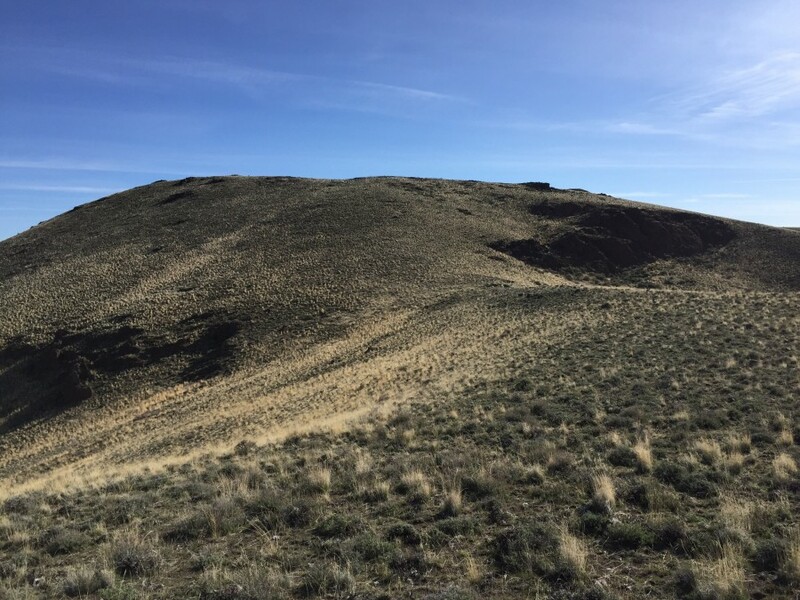 Just east of Marsing, Idaho US-93 and IDA-55 meet. Drive 13.5 miles south from this junction and turn left/east onto the Squaw Creek Road. Note this road looks private since a nearby ranch has built an arch over the entrance. 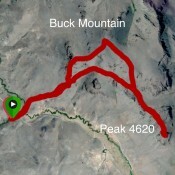 Follow the road up and east past Peak 4540 and then it down into Squaw Creek. 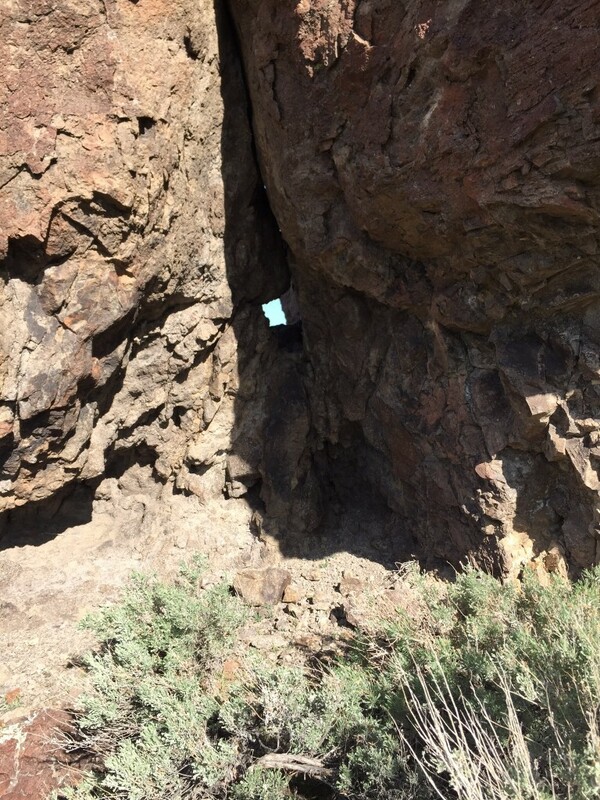 There is a big turn, crossing a drainage just before you reach the private ranch. Park at this point. Follow the road east to the cattle guard and then follow the fence line down to the creek, passing through a gate. Leave the gate as you find it. Once across the creek a cattle trail follows the fence line up the hill. Stay south of the fence (and remember to stay off the private land). 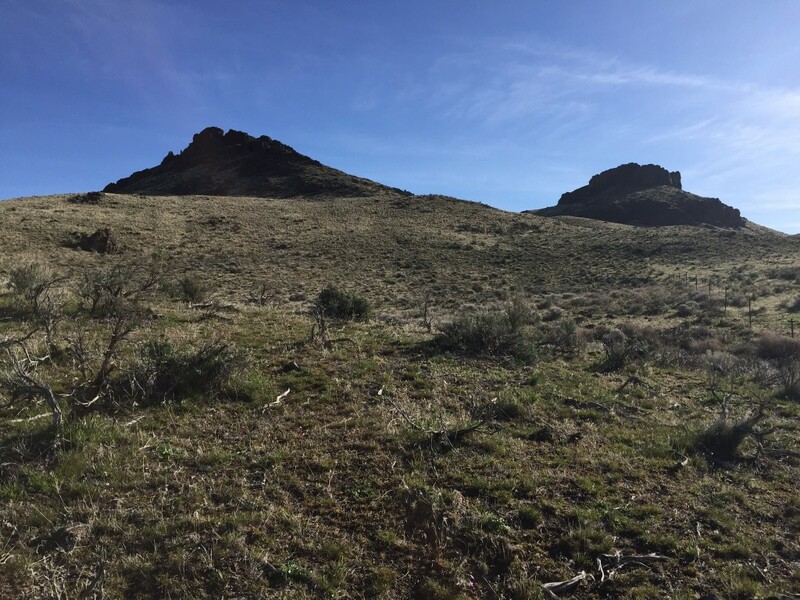 You will reach the peaks west ridge which you can climb over an intervening rocky point or contour into the drainage on your right. Either line will take you to the Peak’s broad a summit. 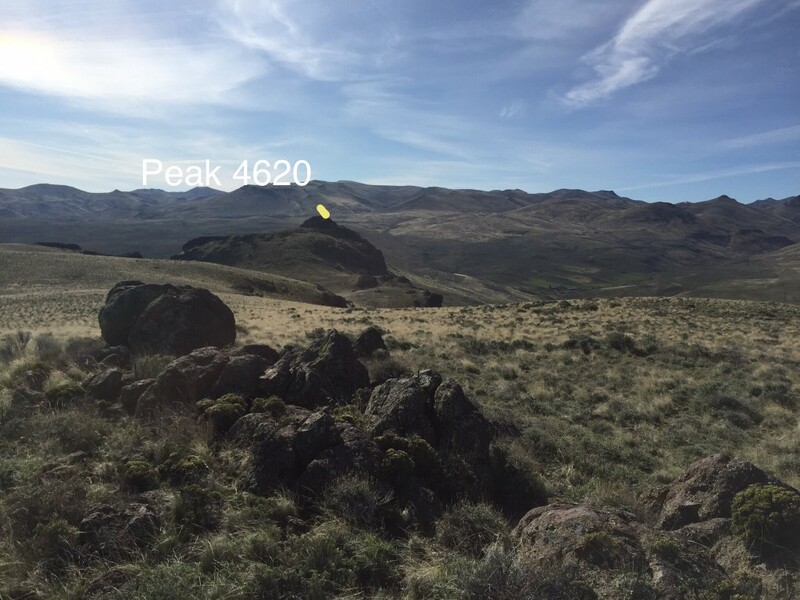 From the summit you can walk the broad ridge line to Peak 4620 which has a nice, rugged summit block.